You've come a long way. It's finally time to integrate your knowledge of Node, Express, and APIs into this Unit's final project. 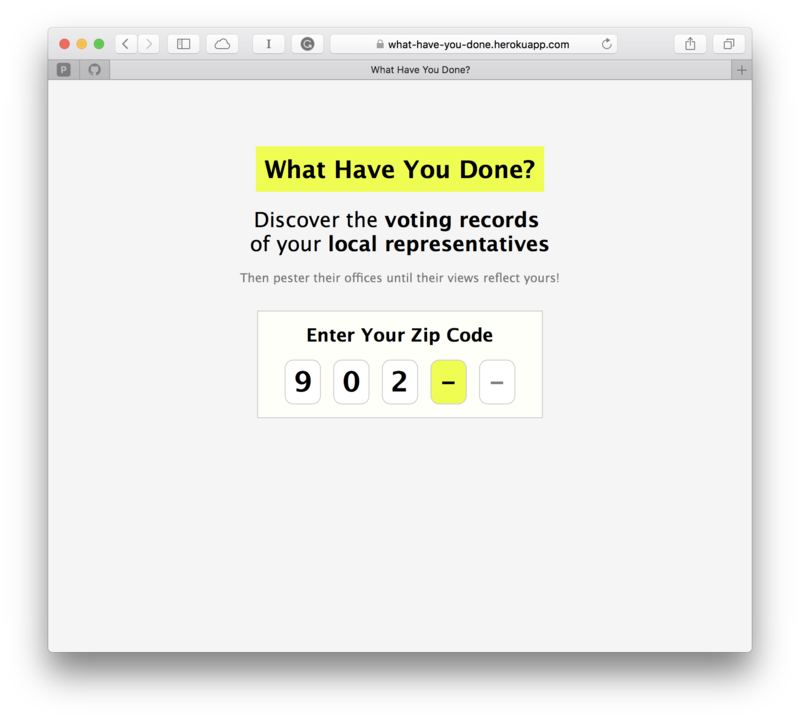 You're going to build a web app that lets users view the recent votes of their local representatives. To see an example of what this might look like, take a look out our Demo Application. All of the data is gathered from the free Sunlight Congress API before being cleaned up and served using Express. The project will be split into two discrete chunks. First, you will focus on gathering and organizing data from the API. The Sunlight API is well documented, though getting exactly the information one requires from an API always presents a challenge. You will want to convert this data into well-designed objects so that you'll be able to write clean HTML templates without having to deal with a mess of data. The second part of this project will have you serve this data from your Express server. You must be able to offer the user different lists of representatives, depending upon which zip code the user has entered. They should then be able to navigate to individual pages for each representative, where they will be able to view that representative's recent votes.